From Cutting-Edge-Component Technology to premium visual appeal, the Regent Touring LS features an impressive integration of advanced construction and aesthetic enhancements designed with a singular goal in mind... To refine and elevate the driving experience. Modern asymmetrical design with ventless technology for year round performance and premium appearance. Silica enhanced tread compound for superior winter and wet traction. Computer Enhanced sound quality system provides ultra quite ride. Variable progressive siping provides extended All-Weather. 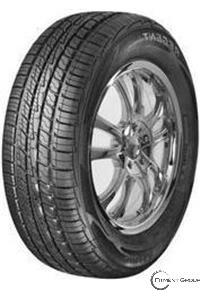 Performance and improved worn tire appearance. Free replacement 1st 50% of treadwear for workmanship and material. Free 30 day test drive. 60,000 mile limited treadwear warranty (H&V Rated Products).